The Seychelles True Garden of Eden? Buried pirate treasure. Ok this was more like it. It’s all very well having gorgeous turquoise water, impossibly white sand and swaying palms to stare at all day long, but even paradise needs a little sprucing up after a while don’t you think? Here in the Seychelles there is plenty of sprucing possibilities after all, some people are led to believe in the Seychelles true Garden of Eden. Sandy (somewhat ironic I would say) was driving me around Mahe, The Seychelles biggest island and he was telling me a tale of pirate booty. “Believe me this is true” he was quite insistent, “there is a golden cross stolen from Africa and buried by pirates here on Mahe and this guy has a map and he’s digging to find it right over there”. We were parked up by the side of the beach and I walked over to where Sandy was pointing, desperate for a glimpse of gold peeking out at me from some long buried stash. With that Del Boy millionaire moment still in my head we continued on our way empty handed but nevertheless inspired by thoughts of plundering salty mariners. I was in good company though, Sandy had also driven his fair share of Hollywood stars and the odd royal around too so he was clearly used to fame and fortune. The Seychelles are a magnificent example of how nature, when she is in a good mood, can design a simply wonderful landscape. 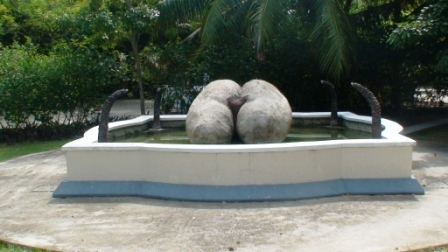 This granite based Indian Ocean archipelago consists of 115 separate islands stuffed full of unique wonders such as the world’s smallest frog, the jellyfish tree, the still-wild giant tortoise and the very feminine curves of the Coco de Mer the world’s biggest and heaviest nut, shaped just like a lady’s derriere. Everywhere you look here is a Kodak moment, and from high ground the stunning beaches and dreamy Indian Ocean vistas are living picture postcards. Up close of course they don’t disappoint either. Impossibly soft white sand and the gentle swishing of palms in the breeze. 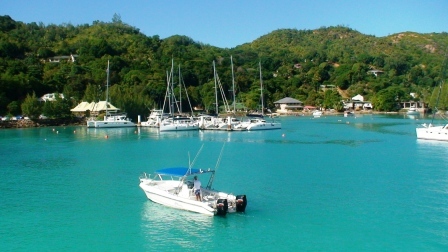 Victoria the capital, spreads across one of Mahe’s marvellous natural bays in the north east of the island. 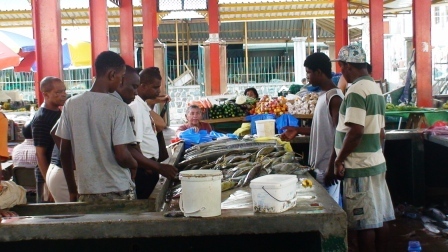 Its English colonial roots still mightily evident with its architecture, the Selwynn-Clarke food market, the botanical gardens and the multitude of merchants whose family businesses date back to the beginning of the century. Of course, the English language, driving on the left and the three pin plug are always the best examples of the legacy our great colonists left behind the world over. French and Creole are also widely spoken here, and sometimes they’ll use all three languages in one sentence! 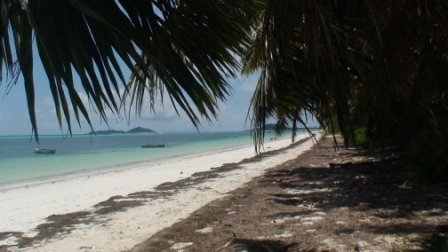 Praslin is the second largest island on the archipelago and just a 45 minute ferry ride from Mahe. It is the home of the UNESCO protected Valee de Mai where the legendary Coco de Mer nut grows wild and free. It is in fact a female nut and the male version of it is, well let’s just say rather manly. These two nuts, it is said, convinced General Gordon himself that here on this island was the fabled Garden of Eden. Also here is home for the rare Seychelles black parrot, unique to Praslin and the Valee. 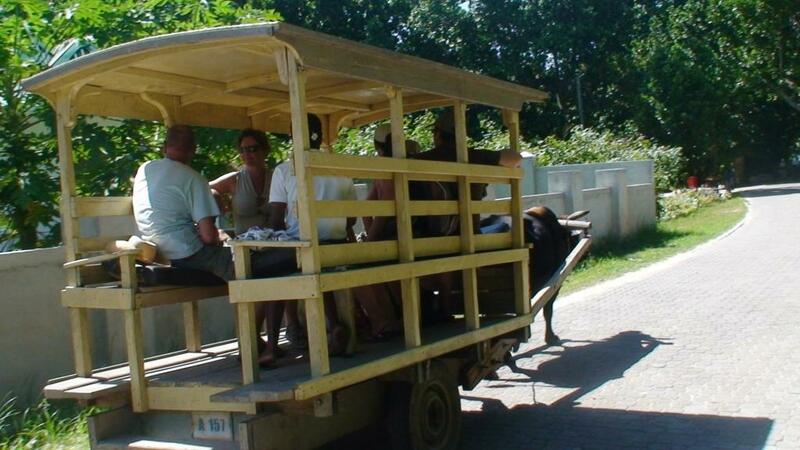 From Praslin, a 20 minute boat ride takes you to La Digue, and enchanted place where the mode of transport is either a bike, or by ox and cart, the local bus service! La Digue is almost a Robinson Crusoe experience with the Anse Sourced’Argent probably the finest and certainly the most photographed beach in the world. Its giant granite boulders jut out of the crystal waters like sentries to create calm, protected waterpools perfect for bathers and young children. 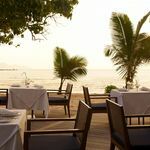 The Islands have a reputation as the playground of exclusive, high end visitors and honeymooners and looking at the many luxury resorts on Mahe, Praslin and La Digue islands in particular, you’ll be forgiven for thinking just that. 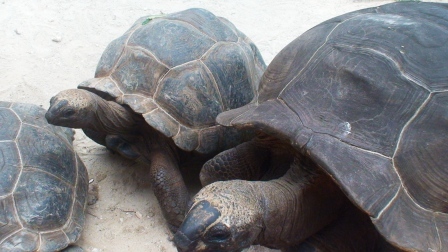 The government is however, making a great effort to dispel this perhaps unfair label, particularly when nearby Mauritius and The Maldives take the lion share of this market. 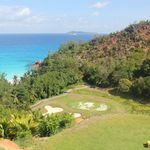 They are working to promote smaller boutique properties on the islands that will not only be kinder to your wallet but also give you an insight into the real people of The Seychelles and their Creole culture. 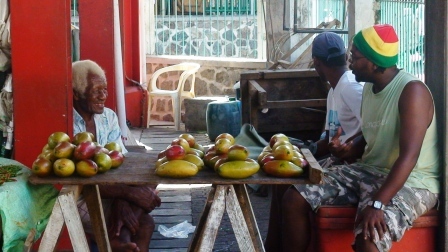 Just sampling some delicious home made Kasava or bread fruit, or the truly legendary boiled banana and sweet potato L’adobe will in their eyes, make you part of the family. 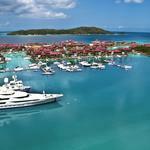 And in a genius initiative, an annual carnival takes place, to unite the islands for a three day celebration. Does it rival Rio as a spectacle? Probably not, but it is very colourful, very musical and gives any visitor a great opportunity to join in and have fun with the locals. For now though I’m dragging Sandy back to find me some pieces of eight in The Seychelles True Garden of Eden. 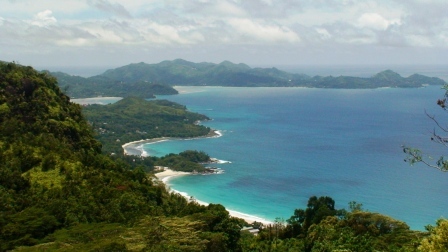 The Seychelles is a multi island archipelago off the coast of Africa in the Indian Ocean.